HBOThe Hound senses that the Brotherhood Without Borders are near. Warning: This post contains “Game of Thrones” spoilers for the books and HBO show. In episode seven of season six of “Game of Thrones,” a new character named Brother Ray gets killed only a few scenes after he’s introduced. His death is sudden, but it hints at some interesting possibilities going forward. Mainly, it bolsters the theory that the show is getting ready to introduce a highly anticipated character from the books: Lady Stoneheart. HBOIn the books, Catelyn Stark comes back in the form of Lady Stoneheart. 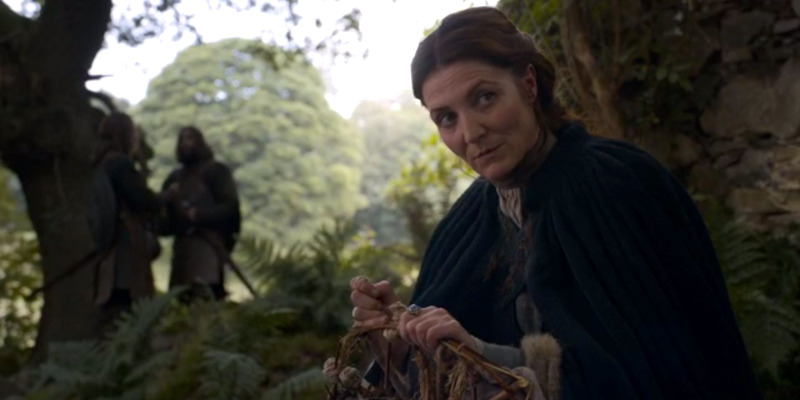 Lady Stoneheart is Catelyn Stark resurrected. In George R.R. Martin’s books, Catelyn’s body is found by a group called the Brotherhood without Banners after she’s murdered at the Red Wedding. They resurrect her, and she begins to seek revenge for her death. Why does Brother Ray’s hanging suggest she’s coming back? 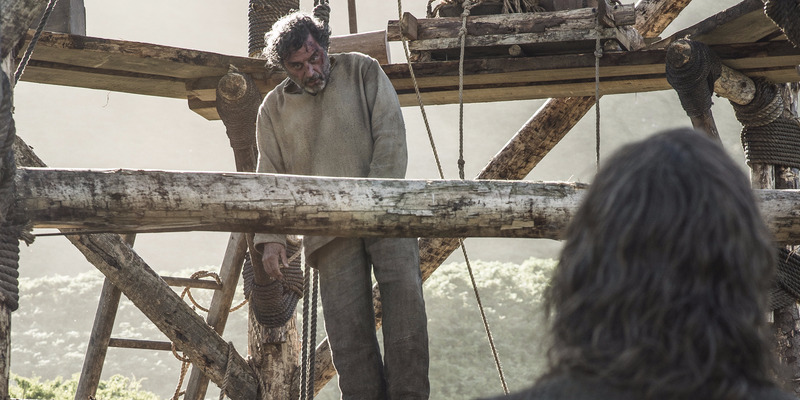 HBOLady Stoneheart typically hangs her victims. Not long before Brother Ray is killed, three men on horseback appear. 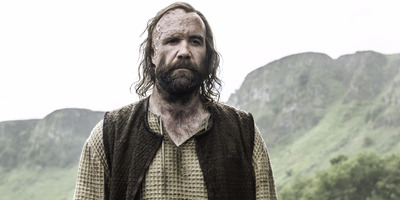 The Hound — who just returned after being left for dead in season three — tells Ray that he thinks these men are with the Brotherhood without Banners. In the books, Stoneheart and the Brotherhood head to the Riverlands to go after the Freys — the family that set the Red Wedding into motion. The Freys were re-introduced this season, which prompted further speculation that Lady Stoneheart might make her first appearance on the show. 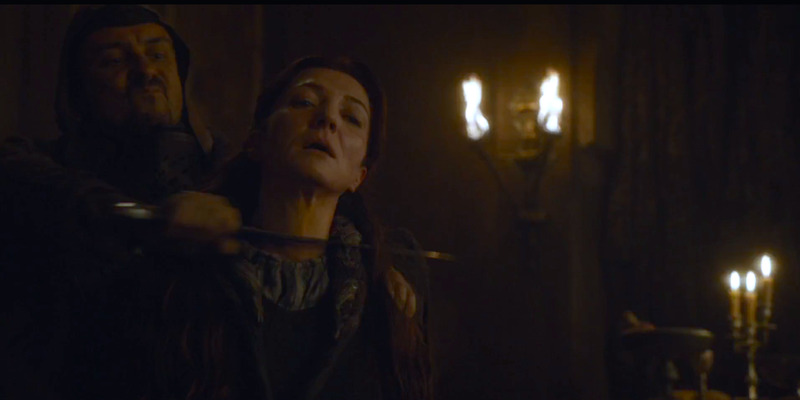 HBOCatelyn Stark was murdered during the infamous Red Wedding. There’s also the manner of Brother Ray’s death. Stoneheart is known for luring characters into traps and hanging them. Brother Ray is, coincidentally, hanged. So when you combine the reappearance of the Freys, the presence of the Brotherhood without Banners, and the fact that a character just got hanged in mysterious fashion, it’s fair to speculate the show is laying the groundwork for introducing Lady Stoneheart. There’s a chance that the show leaves out the Lady Stoneheart plot line. However, with so much conveniently lining up over the last few episodes, the odds off Catelyn Stark’s return look better than ever.